If the stop did rise to the level of reasonable suspicion (and even if it did not), the resulting frisk must also be closely examined to determine whether it exceeded the police’s authority. The police may only frisk on top of clothing, and they cannot pull out or manipulate anything they feel during the pat down unless it is reasonably clear from feel that it was a weapon or drugs. It would be hard for police to determine through a pat down that the small lump they felt in your pants pocket was marijuana. If we can show that the police’s discovery of evidence during a pat down exceeded their authority, the criminal case can be dismissed. 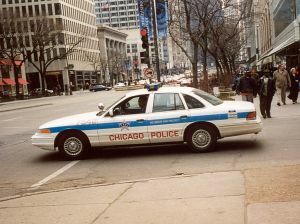 If you are arrested in Chicago, or anywhere in Cook, Lake, or DuPage counties, following a stop and frisk, you need an experienced criminal defense attorney who will thoroughly examine the details surrounding your arrest. If any part of the police’s conduct exceed their authority under the stop and frisk laws, David L. Freidberg will uncover it and work zealously to get your case dismissed, or the charges reduced. Feel free to call 312-560-7100 or contact the Chicago Law Offices of David L. Freidberg, P.C. today to discuss how we can help. We are available 24/7 for your convenience.